Great information and keep up the great work keeping the oil spill front and center. 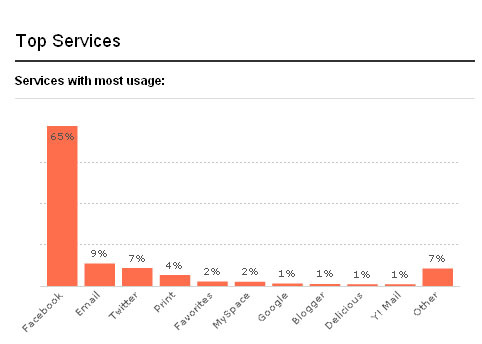 I think this is a great reminder to a) understand what your audience is doing and where they are sharing b) to make it easier for your audience to share where they like to. Keeping an eye on the data and properly filtering will allow us to continually equip our audience to help share our message . This is spot on. 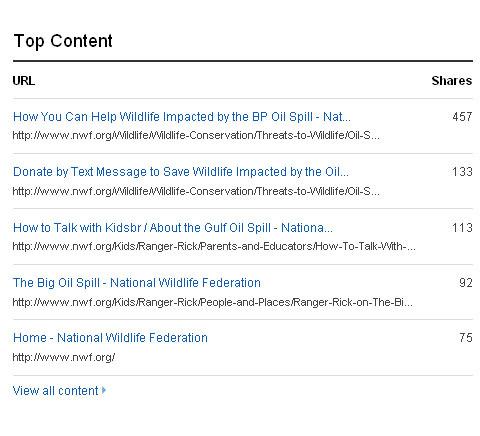 I’ve been tweeting about the #OilSpill from day one and now I’m getting about 500 hits/day on my mini blog. It is a great idea to track these stories and see how far out they get retweeted. This is worth fighting for, since there is a media blackout and it fades fast from ‘top stories’ in the news.